Transfer RNA (tRNA), molecular model. RNA (mRNA) into a protein product. 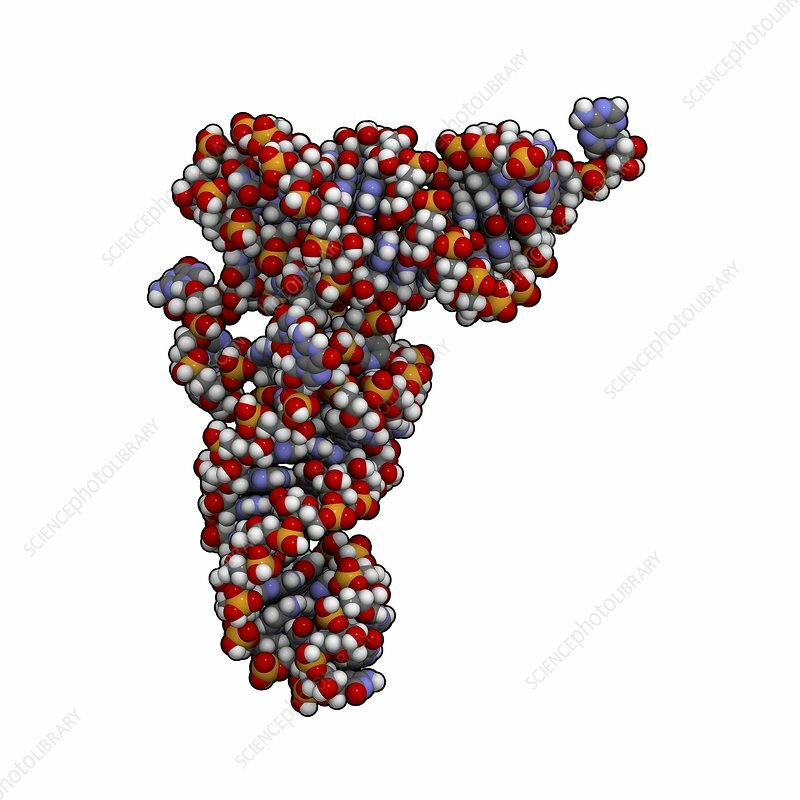 Each tRNA molecule carries a specific amino acid, in this case tryptophan.